Every year thousands of people gather to embrace their love for music at the Coachella festival in Indio, California. Celebrities and music lovers of all ages are united for 3 days with their favourite artists whether its rock, indie, hip hop or electronic music! Aside from the amazing musical performances, we see incredible creativity in fashion during this time. Celebrities and spectators literally revert back to the hippie days of the 70’s, taking boho-chic to a whole new level. People dress specifically for the occasion – sporting clothing you’d never ever see them wearing otherwise. We see celebrities dressed in crop tops, bikini tops, ripped up jeans, rock n’ roll leather skirts, bohemian dresses and print trees in the craziest colours! One cannot really define these looks under any particular style category. 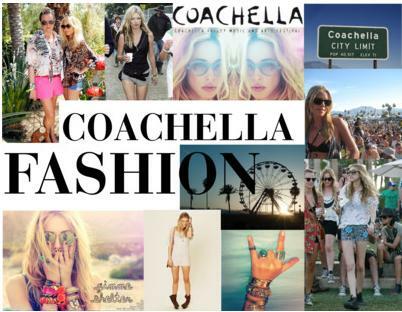 There is only one way to say it – its Coachella festival fashion baby! We love how Whit Whit mixed the patterns here- her look is so fun and edgy! You go girl! Isabel Lucas looks so 70’s in that boho chic maxi skirt and beaded headband. We told you headbands are SO in! We love Alexa’s military chic style! The army jacket looks great with the light pastel romper underneath. We just couldn’t wait for the crochet trend to come back- and here it is! Finally! Thank you Kate! You look phenom! We hope you like our outfit choice and will be joining us at OSHEAGA in August!!! Kate Bosworth has such impeccable taste! I love her festival fashion the best! Her taste is really awesome – we love how perfectly she can pull off the boho chic look!